On June 22, 2017, we held our annual Scholarship Awards Luncheon at the Virginia Beach Convention Center and proudly presented 135 local high school graduates with scholarships! Our keynote speaker, Virginia Supreme Court Justice, the Honorable S. Bernard Goodwyn, addressed the room full of students from Chesapeake, Norfolk, Northampton County, Portsmouth, Suffolk and Virginia Beach and encouraged them to "dream big" as they enter the next chapter of their lives. A special thank you to all of our event sponsors: Chesapeake Bay Wine Classic Foundation, Joan and Macon Brock, Peggy and Conrad Hall, Old Dominion University, PRA Group, Virginia Tech, Norfolk State University, Virginia State University, PNC Bank, Eastern Shore Community College, Virginia Wesleyan University, Virginia529, Harvey Lindsay Commercial Real Estate and University of Mary Washington. We wish our scholars the best as they begin the next chapter in their lives! Visit our Facebook page for more photos from the event. Check out coverage of the event in the Virginian-Pilot here. Inaugural Event of the ACCESS Alumni Network! On June 21, 2017, we held the augural event of our ACCESS Alumni Network at The Main in Norfolk! Alumni were able to connect with one another and with current ACCESS staff. The night wouldn't have been complete without our special guests, Macon and Joan Brock! 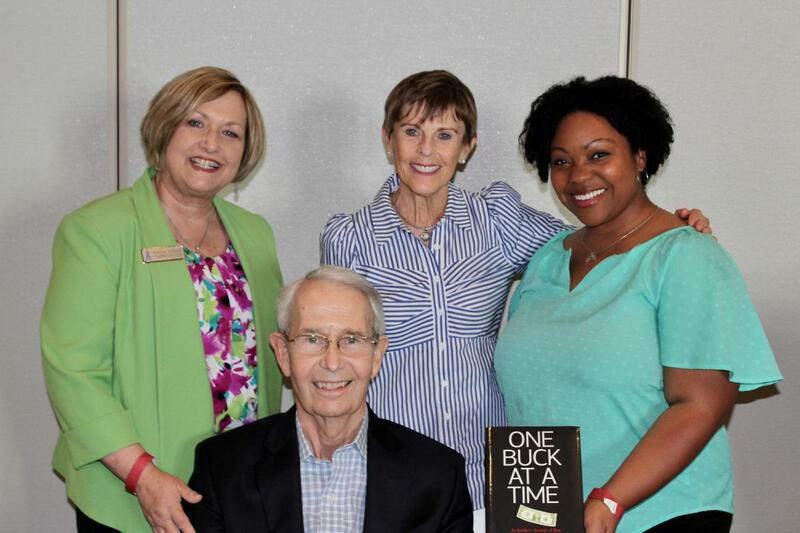 Mr. Brock, co-founder of Dollar Tree and author of "One Buck at a Time," shared his story and gave advice on how to succeed in business. What's the key to success? He said, "It all comes down to attitude and hard work." Visit our Facebook page for more photos and keep an eye out for more upcoming ACCESS Alumni Network events! On April 25, we gathered more than 2,500 high school seniors at Old Dominion University's Ted Constant Center for ACCESS College Commitment Day to celebrate their commitment to higher education. The students, who came from Norfolk, Virginia Beach, Portsmouth, Virginia Beach, Chesapeake, Suffolk and Northampton County, have all been helped by ACCESS. Each one has been accepted to at least one college or university and will be headed there in the Fall! A special thank you to our event speakers: Cedricka Dalton, Churchland High School gradate, who obtained bachelors’ degree from NSU and is currently an Electronics Engineer for the Mid-Atlantic Regional Maintenance Center on Naval Station Norfolk’s base and pursuing her master’s at ODU; and, Joseph Dugan, graduating senior at Princess Anne High School, planning to attend VCU in the Fall. 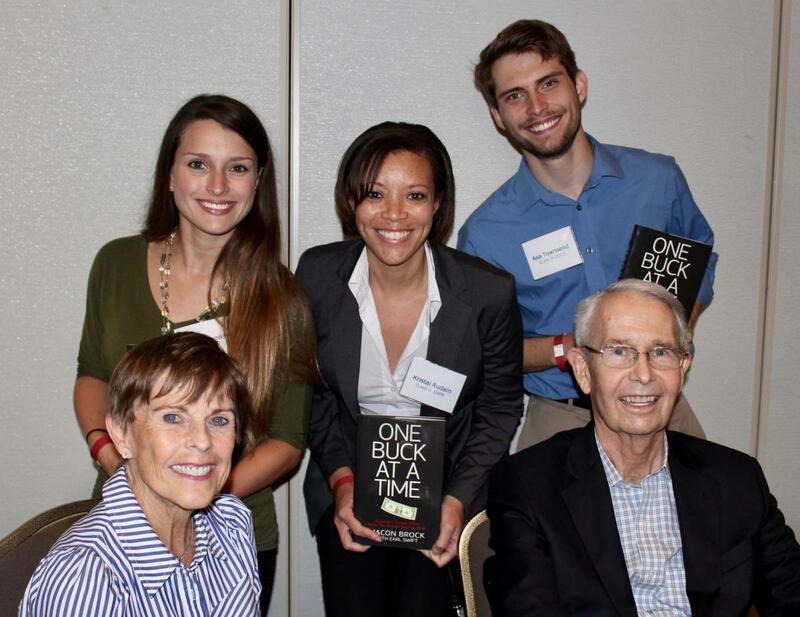 We even surprised the students and gave away SIX scholarships during our event! Thank you to our sponsors who made the event possible: Old Dominion University, Norfolk State University, Virginia Tech, Virginia State University, University of Mary Washington, j&a racing and Signature Family Wealth Advisors! Check out coverage of our event from Southside Daily here and our interview on WTKR's Coast Live here. Find more photos from the event on our Facebook page! ACCESS Visits VSU, UMW and UVA! In April, ACCESS students were able to tour multiple universities including Virginia State University, University of Mary Washington and University of Virginia. It was the first time many of these high school juniors were able to visit a college campus! Our students took full advantage of this opportunity, asking questions and interacting with guides throughout the tours. The best question we heard was: "Where do freshman go to get addiitonal help with tutoring, mentoring and guidance?" Thank you to our college student ambassadors and tour guides at each school! They led our students through each area of the campuses including dormitories, production classes, student centers, academic centers, and of course, dining centers. At ACCESS, we know tours are a vital part of the college selection process as students choose where to further their academic and career goals. We take pride in helping students find their best college fit.